The body is a wonderful thing – but sadly it peaks rather too early in life. For some, the downhill spiral is more abrupt than others. 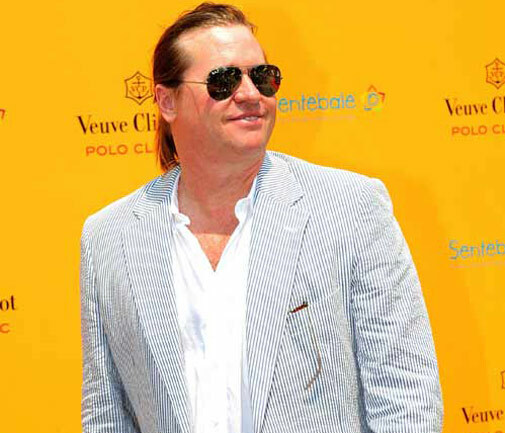 Val Kilmer, remember, seemed to expand along with the size of your widescreen TV. That’s probably slightly unfair on Val – although what was he eating back then? — as no-one can hold up the effects of time. Besides, recent pictures suggest he has now located the treadmill. Most of us, though, spend adult life bidding to delay the plumping up process with regular trips to the gym, cross fit, barre class, tennis court, football field etc. Those rich enough sometimes think they can give it a damn good go without the exertion of exercise, choosing instead to invest in countless trips to their plastic surgeon. The beauty, ironically, of that is the artificial route has been proven to back-fire spectacularly. Simply type in ‘celebrity surgery gone wrong’ into Google and enjoy a coffee break giggle, or gag. Anyway, before I arrived on the island I hit a career high – weight-wise. I’m no Val – in all kinds of ways – but I’d noticed the slide start to take hold. Fellas, we’ve all been there: you forget to put a belt on… and it doesn’t matter, and that cool skinny polo shirt suddenly makes you look like Woody Harrelson in Kingpin. Unlike Woody, though, I’m not cool enough to pull it off, so since moving to Bermuda I’ve hauled myself back into regular exercise. As a result, on Saturday the fine fellas at Robin Hood FC handed me a proper game of Corona League football — all 90 minutes of it. I did moderately okay, although my half-time input that I might not be as quick as some of their passes hoped I’d be was met with generous – I think – laughter. In turns out, against all known laws of physics, that I’ve managed to get even slower in the four years since I last laced up my boots. Whatever my speed on the BAA field I was noticeably more sluggish the next day. And when I say slugglish, I mean stationary. Like your first proper drink of the Bermudian summer it felt good at the time but the morning after lying motionless is the only sure way to avoid pain. One, carefully-paced trip to the DVD store was the sum total of my Sunday – and I was instantly reminded of my mate Val. Admittedly the queue in Leisure Time is not a fair sample of Bermuda, being the HQ for the ultimate stationary past-time, watching films, and positioned conveniently close to the island’s prime spots for fried chicken. Coincidence? I think not. Now don’t get me wrong, I love fried chicken and life comes in all shapes and sizes, and is all the more wonderful for it. But standing in that queue guaranteed one thing: I’m back in training Monday night.